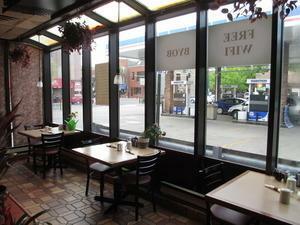 " Great Breakfast/Lunch location in the heart of the community". Nicely remodeled Restaurant. Currently Breakfast, Lunch operation, apx. 3,000 sq ft w/ seating for 125. Gross lease w/options to renew. Good volume with a 6am-4pm daily operation. Call for details, very confidential. Showings are easy.